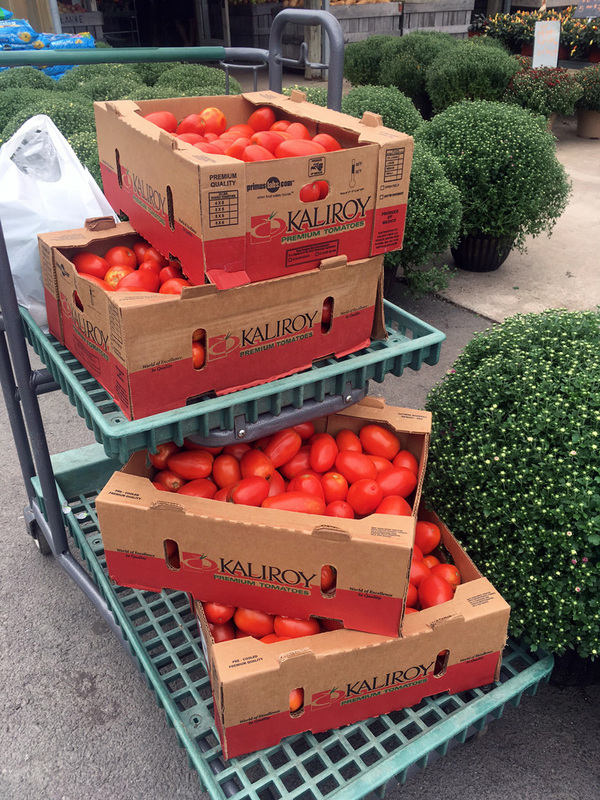 Did I mention I had a freezer full of tomatoes? Well, I do. Oven roasted, slow roasted, and oven-dried. Containers and containers filled with jewel colored, candy tasting goblets of goodness. My cart with 4 - 25lb boxes. Seemed like a good idea at the time but when I got home I thought, Wow this might take a while! This wasn’t even 25 full lbs. I had oodles more of roasting to go!! But I persevered with spectacular rewards. The tomatoes come out tender with concentration flavor. Sweet like candy but with a savory richness that enhances any dish. These are the oil roasted ones. I used oven dried for this spread recipe. No oil is used when oven drying tomatoes. But as you can see, the oil roasting method uses a ton of oil. 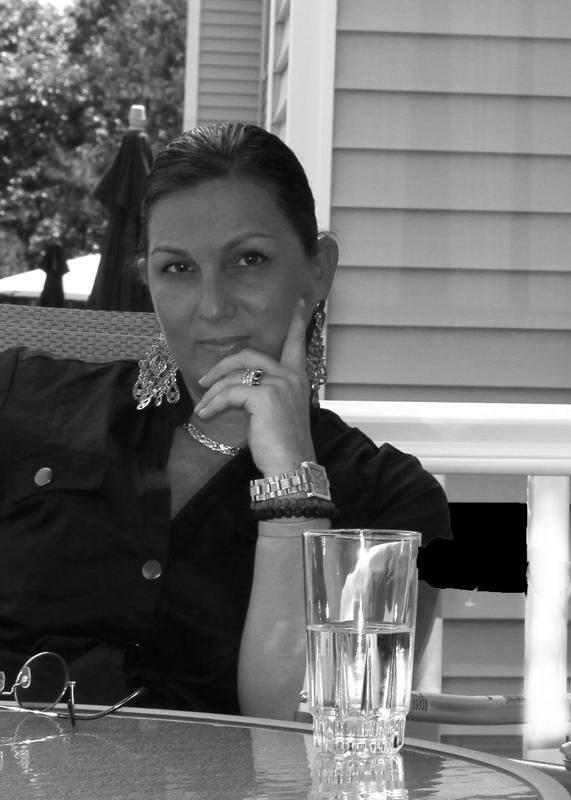 I use Oleo, a Spanish Olive Oil from Spain. You can buy it at Despaña. To store them, all you need to do is place them in an airtight jar, fill with fresh olive oil and store in the fridge. They last months like this. I will admit that I went overboard this tomato season but I felt I had good cause. I was stocking up for a family trip in November. Truth be told, even with that trip I was as gluttonous as Violet from Willy Wonka, but instead of turning blueberry violet, I’m a gorgeous shade of ruby red. 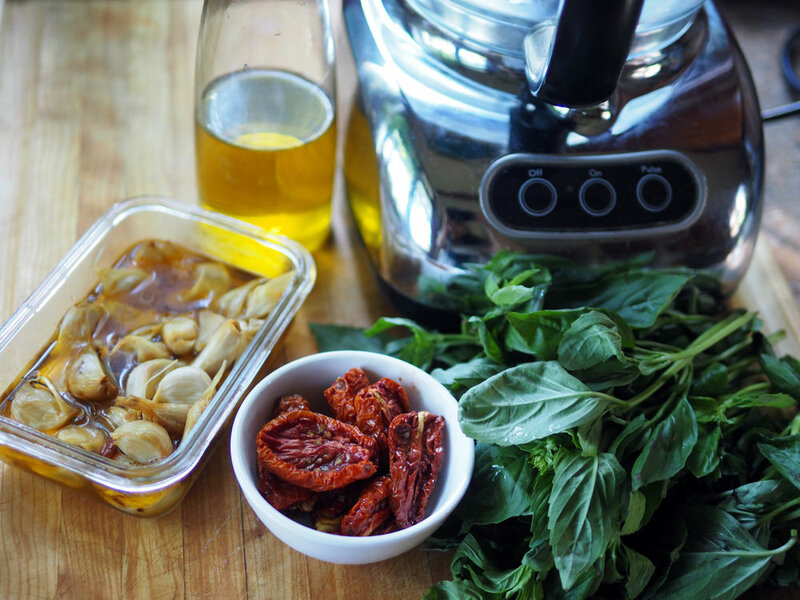 In my quest to provide you… and me, with ideas on how to use up your tomatoes, I came up with this spread of sorts. It’s almost like a pesto, but not quite. It’s half tapenade and half pesto. Tapenesto? Pestenade? Ugh, It’s a concoction. How’s that for a name? Seriously as easy as: blend it up, pour it out, spread it on anything type of recipe. Toast the pecans in a pan over low heat or in the oven just until lightly toasted. 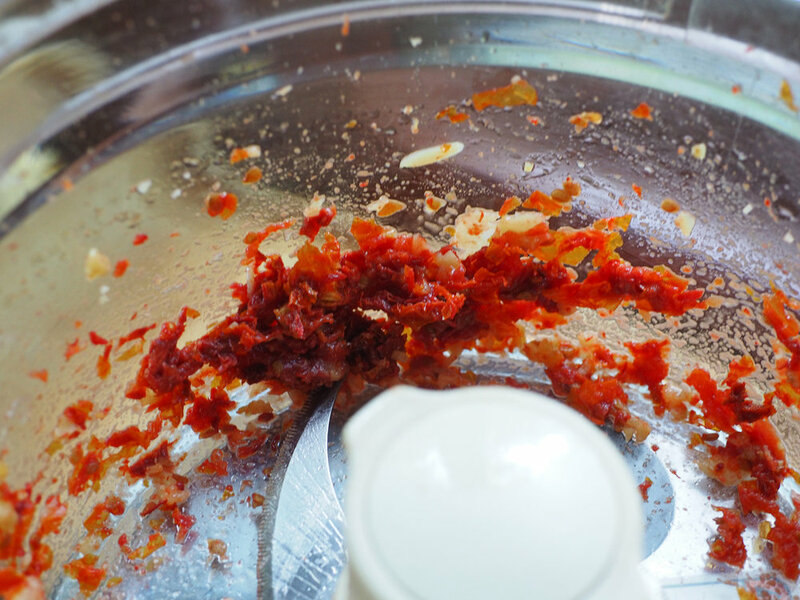 In a blender or food processor, buzz up the roasted garlic and oven dried tomatoes until chunky. Drizzle in oil, add salt, lemon zest and juice and buzz until chunky consistency. 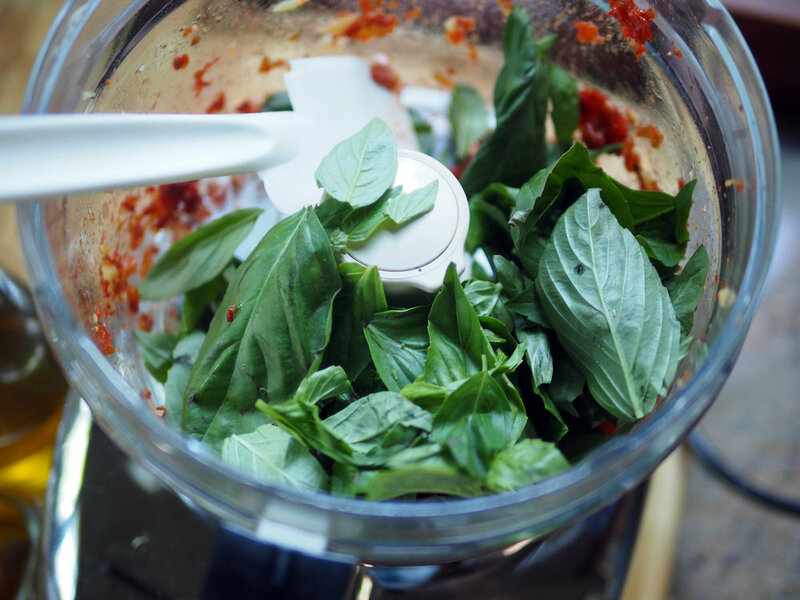 Basil, so green and fresh, it will add that herbaceous quality to this ‘dip’. Rich, liquid gold pouring in. I made this spread without any real need for it but just the desire to test it out. This is me back to my old tricks. Experimenting with no agenda. I’m sure glad I did, ‘cause two weeks later we had weekend guests and it was the perfect compliment to my cheese board. It goes great on bread, perfect on crackers and zippy on cucumbers. I’m sure this ‘whatever’ you call it spread would be lovely on grilled chicken or even fish or roasted vegetables. These are the types of ‘whip ‘em up’ ideas I love. The ones that aren’t picky how you use them. They are happy to play on anyone’s plate in any fashion you can think up. And the thing I also learned about this little tapenesto pestenade was that it lasts for 2-3 weeks in an airtight container. How’s that for work horse? Up close and personal. Rich and deep in flavor. Name it whatever you like, but it goes with feta cheese, Middle Eastern fare, Italian fare, yada yada yada. Spread it on bread add fontina cheese and arugula, some dried cured meat and slap the crusty bread… shut…up and eat. Oh, I’ve fallen in love again. 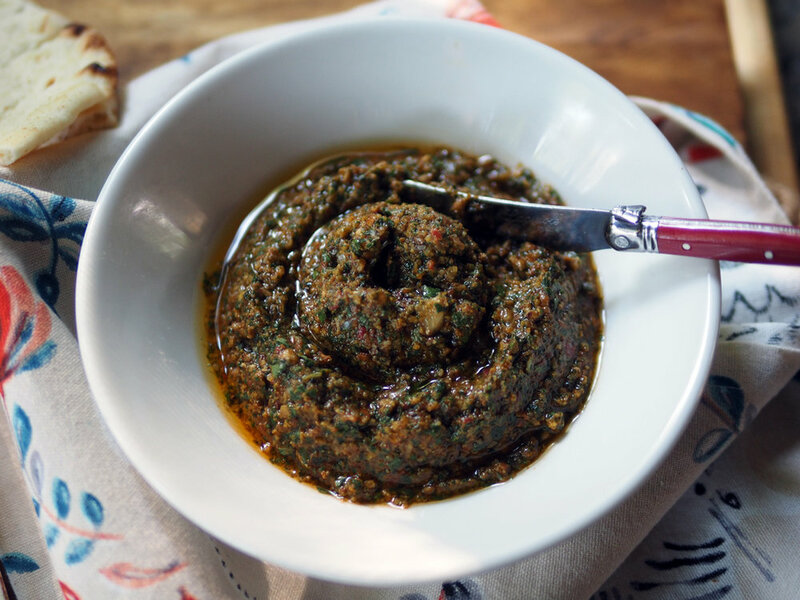 A pesto/tapenade concoction that will have you not caring what you call it. Just as long as you can make it, spread it and devour it.